Lanikai Beach Park is two beaches in Oahu which are considered “sisters”. The beaches are perfect for swimming and relaxing, although one can also enjoy kayaking and windsurfing at Lanikai Beach. The waters are crystal clear and calm, making it ideal for families with small children. Although there are hardly any facilities in Lanikai Beach, the view and its location to a handful of islands off the coast can certainly make up for this shortcoming. Kailua Beach, on the other hand, is better equipped than its “sister”. Here visitors can rent surfing gear and other safety devices, and there are lifeguards who supervise and watch over the swimmers and other beachgoers. When combined Lanikai should be added to your itinerary. Kailua Beach has been named as the best beach in the world many times, while Lanikai Beach lives up to its name as “heavenly sea”. Basic safety guidelines are paramount to ensure one’s safety while at any one of these Beaches. Kailua Beach can be full of dangerous Portuguese Man-of-War (a type of jellyfish), and there are certain shallow areas which can cause a person to break his/her neck if they dive in. Swimmers should stay in areas which have lifeguards, so that they can be easily reached in case anything goes wrong. An additional feature near Kailua Beach is a pond. Parents are cautioned against leaving their children alone, since they might wander into the pond and fall in. 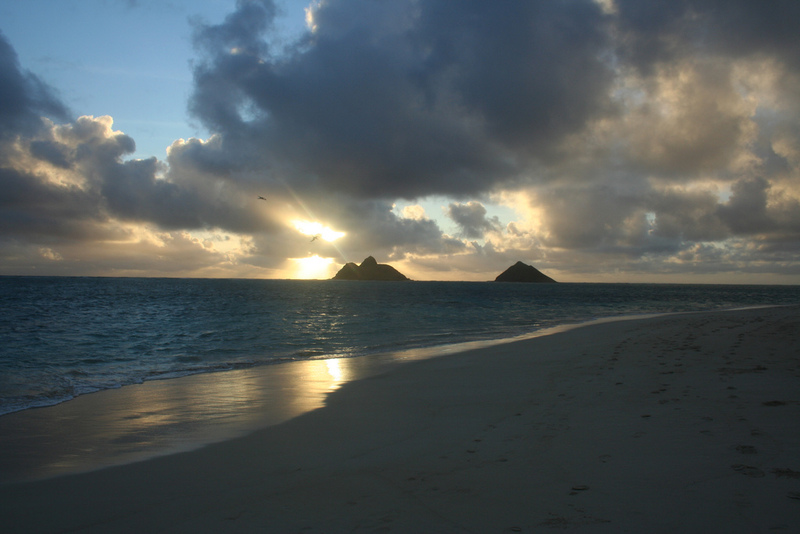 in Lanikai Beach, visitors can go to the two islands nearby which serve as a sanctuary for birds. Moku Nui and Moku Iki can provide people with a whole new experience in seeing different species of birds. They can then see different species of fish as they snorkel off Lanikai Beach.